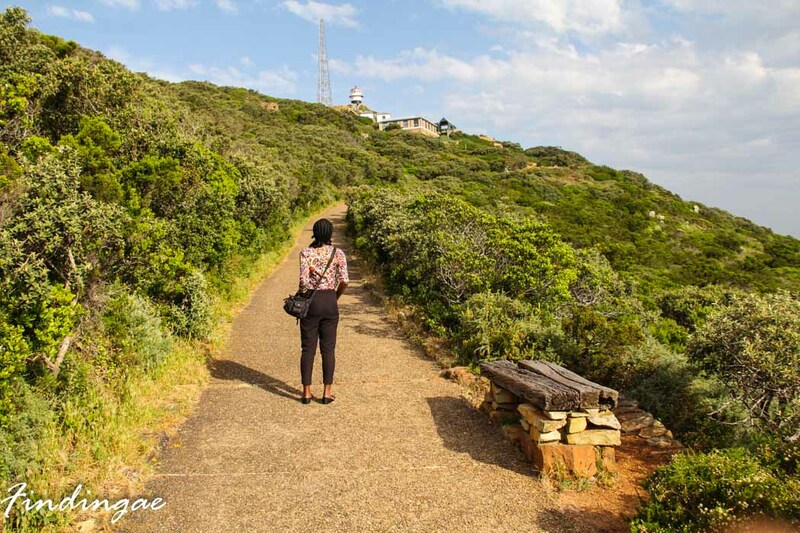 Have you ever felt that if you were at the tip of the African continent, you could just fall out or something, like fall into outer space and the world beyond? If not, well I did. 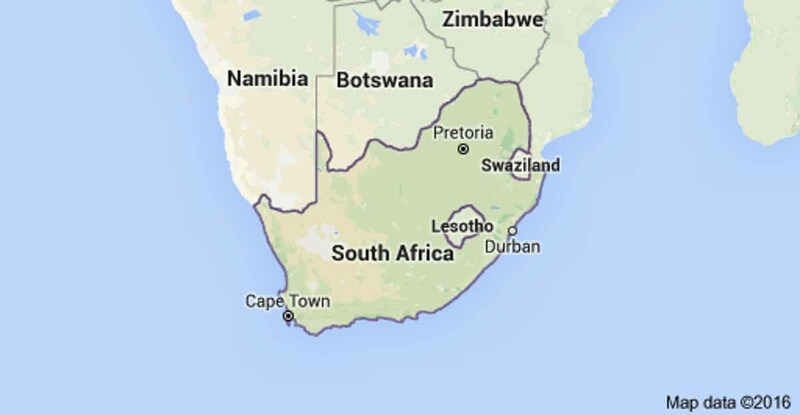 Growing up and knowing how the African continent looks, I always felt that if someday I get to the tip, especially towards the south -Cape Point, I would simply fall out and probably land in another continent…dumb yeah? Oh Well! That’s what cartoons and movies did to my brain. Unfortunately, still does, cos I still think someday I’d be able to fly or that I’ve got some kinda power which just hasn’t manifested. Anyways that being said, Cape Point and Cape of Good is a part of the Table mountain National Park which is a world heritage site. 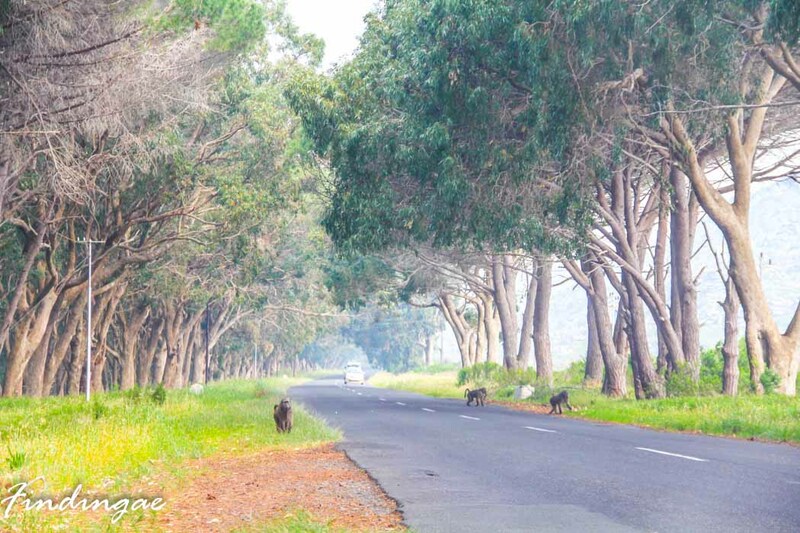 It’s a nature reserve with quite a number of animals and plant species. 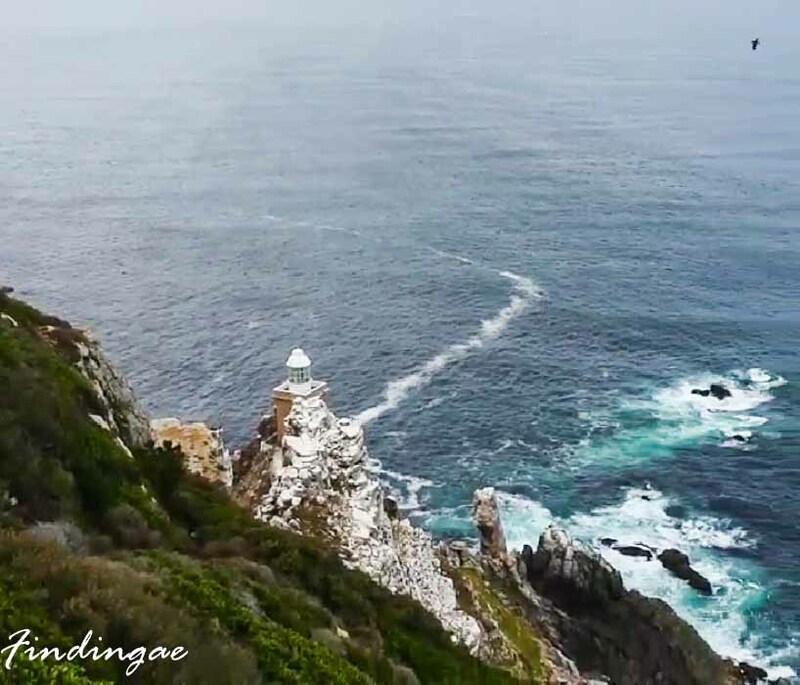 It has also got one of the highest cliffs in the world which houses a light house; a navigational landmark for sailors a couple of centuries ago. 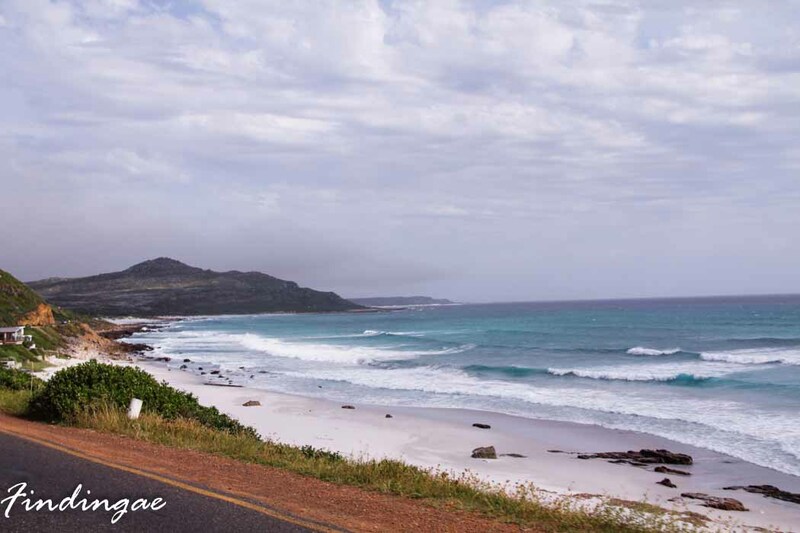 A drive through Chapman’s peak to Cape point exposes you to one of the most spectacular marine drives in the world (these pictures do not quite capture the sight) and a whole lot of baboons. One of which welcomed me to Cape Point. 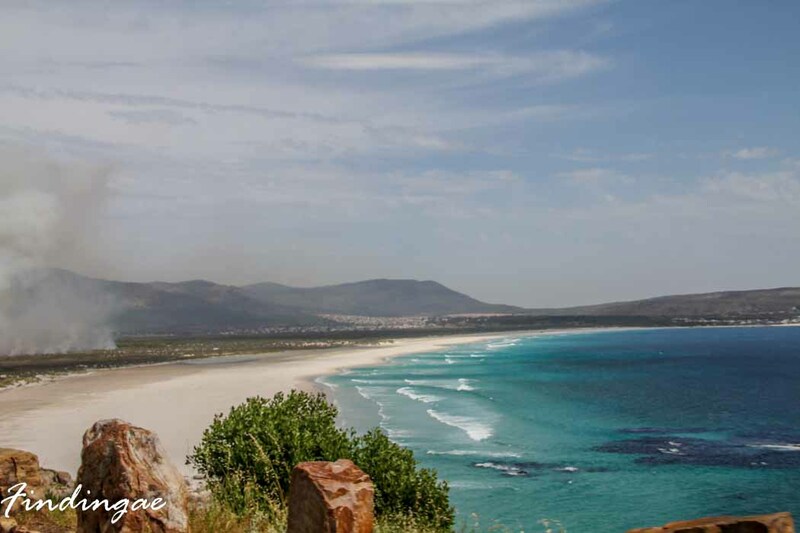 Cape point is believed to be the point where the Indian Ocean to the left and the Atlantic Ocean to the Right meet. However, there are those who contest this, arguing that the glory belongs to Cape Agulhas. 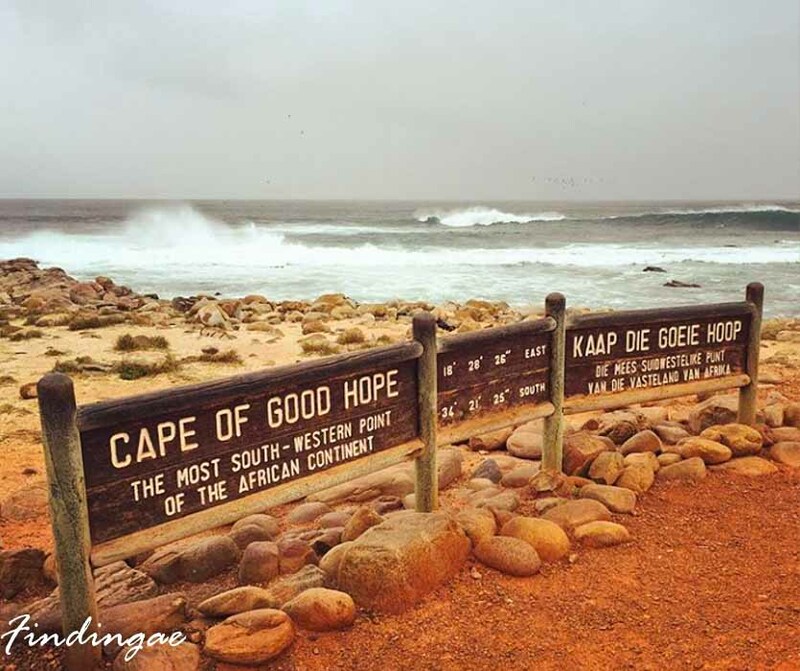 Being a mass of water, others say the point fluctuates between Cape Agulhas and Cape Point. I was however shown the supposed point where they meet and the line that divides the two oceans. Cape of Good Hope is home to the south eastern point of the African continent and allaying my childhood thoughts, people do not fall off the edge of the continent into the intergalactic space, there is merely a body of water between two continents, nothing remotely exciting, compared to what I had once thought. The walk up the light house is a fairly steep one and wouldn’t have been such a bad idea to take the funicular train as I had to walk from the lower station at 127 meters above sea level, to the upper station at 286 meters above sea level. However the sights made the trek worth my while. 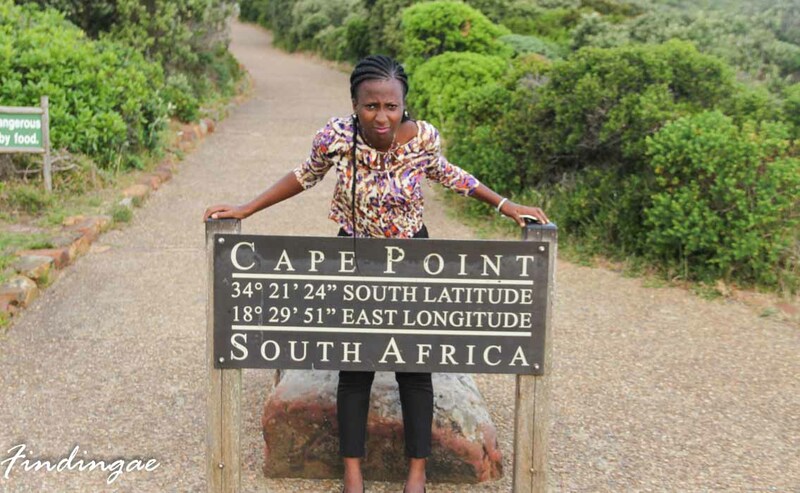 I also got the chance to take a picture with the Cape Point sign post after countless attempts at getting rid of the baboon which was obviously enjoying the attention being given to it by tourists. outer space and the world beyond? 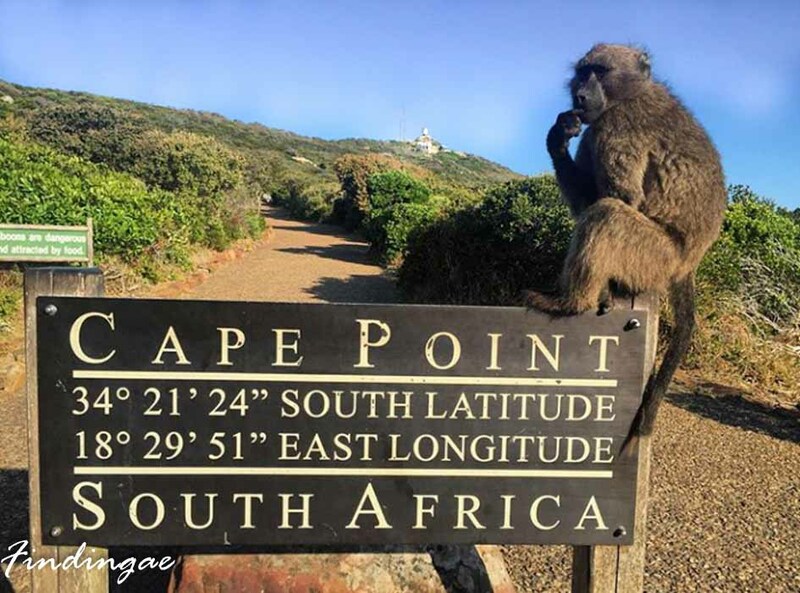 In Cape Point and Cape of Good Hope is it only baboons are the animals present is the national park? because I really loves animals. By the way nice write – up. I do enjoy reading your posts. BRAVO!!! Lol @ Rapture. There have been sightings of other animals like Zebras, Bucks, Snakes, Ostrich, Antelope, Tortoise and diverse species of birds and fishes. Also whales and dolphins from the ocean have been sighted via binoculars that’s up the cliff just by the light house. The use of which require slotting in coins. Thank you for bringing these beautiful places of the world closer to me..
Another nice piece. The write up is so good I feel I am with you on the journey. You are like a tour guide, guiding us on the journey. Great one. You always deliver well,I don’t think I will want to miss anything concerning this blog.nice work my dear! Thanks dear! More coming up! Good stuff, South Africa is definitely on my to visit list now. Great! Learnt something from ur write up. Don’t land in another continent, land in space. Nice attempts, Anu. Keep it up. For lovers of nature like us, we can only hope for more. Keep it up dear… At least you are bringing the world closer to us. 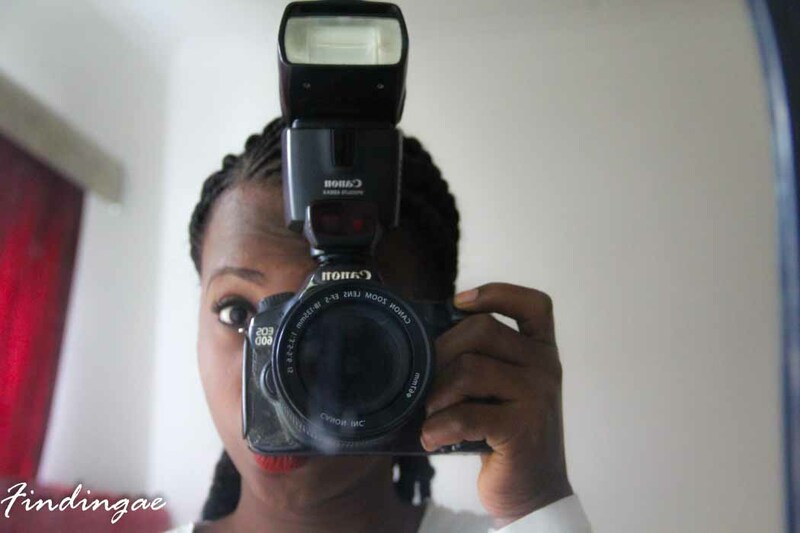 I’m enjoying this blog. Thanks for the tour guide, funny enough I was reading about “the cape point” of south Africa last night, now I have better insight to understand all i’ve read! Yay! Glad I was able to do that.